The cover image of my film, "Lost and Found in Mexico"
1. I haven't checked a weather forecast for ten years! 2. Nothing runs as I think it should. A constant reminder that I have no control. 3. Now, finally, I have a green thumb! 4. No day is "average." 9. 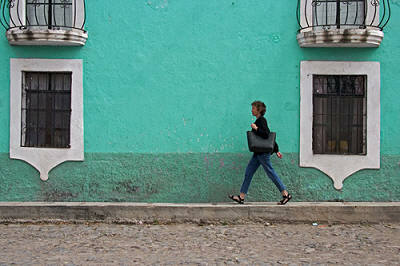 Greeting and being greeted on the streets--it happens all the time in San Miguel de Allende. Donna's Note: Caren Cross is the writer/producer of "Lost & found in Mexico," a wonderful film about San Miguel in which she explores the reasons expatriates come to San Miguel and what they find there. Often it is themselves. You can buy a copy at Caren's website. I went to there as a remote trade understudy in 2001 and adored it. This past spring I brought my guardians back with me and we spent a week there. essay writing company. It's an extraordinary spot to rehearse your Spanish in case you're new to the language too on the grounds that the general population tends to be neighborly and supportive when you're attempting. Also, I hear the school is awesome! Educated girls are working in the best institutions of the country. Educated girls making the country develop with the help of superiorpapers service and their education and knowledge. Educated girls are very honest and intelligent.